If you haven’t already guessed, I use my movie viewing time as somewhat of a treasure hunt. Sure, I like a good, current blockbuster, but I prefer to seek out the unsung gems. I find that productions with smaller budgets make for a resourceful film crew, and hungry scriptwriters. That combination usually yields more compelling stories. Once again, my “intuitive algorithm”, lead me to a good film. “Advantageous” is set in a not too distant future metropolis, where technology is king, and lends more than a small bit to our creature comforts and desires. In fact, the tech is so invasive, that at one point the films main character, Gwen, is having a telephone conversation, and suddenly realizes that she isn’t talking to a person. The conversation gets seriously creepy. The Phone Bot was quick to let her know that she was less than, which is the running theme in this piece. Gwen is a single mother raising a pre-teen daughter. She is the face of a major corporation, which houses the business of beauty as its cornerstone. Gwen’s age is never stated, but her face has begun to weather, and the company requests that she step down. From here on, Gwen has to make decisions about her, and her daughter’s welfare, from a dejected headspace. The results of which are nothing less than astonishing. The society depicted in this future is still much like our present. One very evident difference is that the devaluing of women has increased exponentially, and the outcome bears a strong resemblance to our very distant past. The gravity of the plight of women and children is crushing, with little to no remedy in sight. This film poses so many important questions in such a short amount of time. It’s an emotional, power-packed hour and a half, and a great teaching moment for film students. The cinematography is stunning. Shots were very carefully chosen, and were paced well throughout the film. It also sports a haunting soundtrack to match. With each scene, the angst of the main character, as well as her main focus, is apparent and captivating. Many of us as parents, have walked a similar path, at one time or another. Perhaps not to the same extremes, but most of the scenarios in this film are absolutely relatable to the large majority. 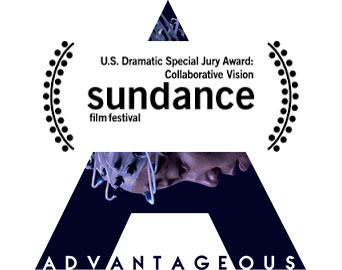 I will be watching “Advantageous” again with my son, because I need him to know and understand the price women are expected to pay for acceptance. Any future worth living depends on it.